(Atlanta, GA)-- On July 19-20, 2013, Egypt Cares Family Foundation, in partnership with Atlanta's #1 Radio Station, CBS Radio's V103 FM and WAOK AM, I For Talent Managment & Consulting, Creative Loafing, HGTV, Fox 5's Good Day Atlanta, 11 Alive News, ATL Red Carpet, Moguldom Media, and Auburn Public Library, presented the 2nd Annual Rising Media Stars Bootcamp. Sixteen deserving teens from communities throughout the metro Atlanta area and surrounding counties were selected after each submitted a 250 word essay detailing why they should be including in the media bootcamp. The participants were carefully selected to engage in an intense program giving them a birdseye view of the variety of specialized careers available in the media industry. During the rigorous two-day camp the all participants were given in-depth tours and tutorials from news anchors, journalists, television producers and behind-the-scenes executives at major media companies. "I couldn't be more proud of the group of young people who took part in my 2013 Rising Media Stars Bootcamp. They were such a bright, talented and committed bunch! Seeing them thrive and really absorb all of the information given to them made me feel like the future of global media will be left in good hands!" said Egypt Sherrod, Host of HGTV's "Property Virgins" & V103 Midday Personality and Founder of the Egypt Cares Family Foundation. "The 2013 Egypt's Rising Media Stars Bootcamp was beyond amazing! The group of teenagers selected to participate in this year's program were so impressive, and eager to learn from all the radio, TV, magazine and digital media experts we put in front of them," added Amber Noble-Garland, CEO of I For Talent Management and Chairperson of the Egypt Cares Family Foundation. 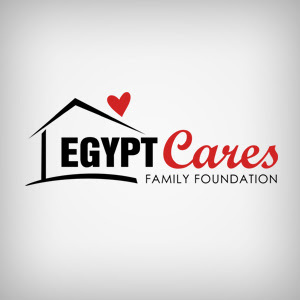 For More Information on Egypt Cares Family Foundation, please visit: www.EgyptCares.org and Twitter: @EgyptCares. For more information on Egypt Sherrod, please visit: please visit www.EgyptSherrod.com,www.EgyptSaidSo.com, www.facebook.com/EgyptSherrod, and Twitter: @EgyptSaidSo.